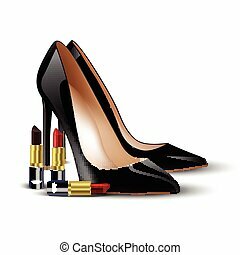 Black shoe and lipstick. 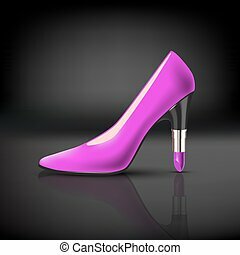 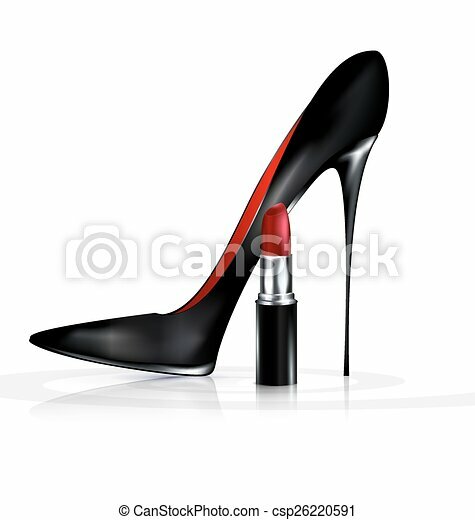 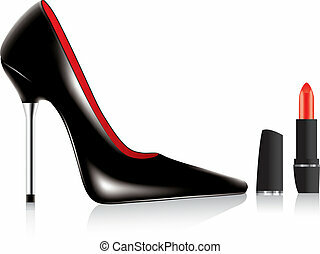 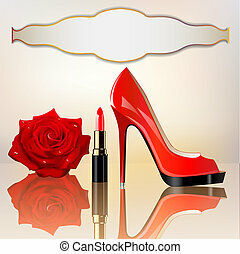 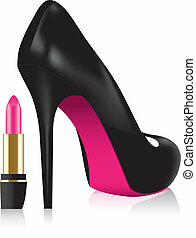 White background and the black ladys shoe with red lipstick. 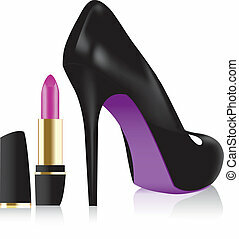 Vector Icons for Beauty or Fashion. 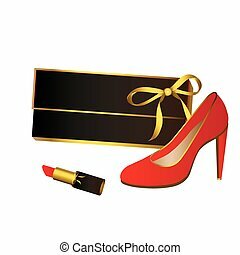 Also available as buttons and in black. 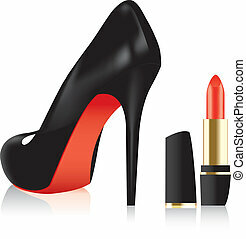 Beauty Black Button Set vector image graphic scalable to any size.